Sustainable growth in the region is happening as Syracuse opens up avenues to economic participation, creating a more welcoming economy for all. Together, the City of Syracuse, CenterState CEO, and other community partners are collaborating on creating impactful programs that advance opportunities for immigrants. In 2014, foreign-born residents contributed $1.7B to the GDP of metro Syracuse. A growing refugee population and increased immigration have stemmed the tide of decades of population loss, and account for all of the growth of the total population between 2000 and 2014. Without foreign-born residents, Syracuse’s population would not have grown. In the Syracuse metro area, 1,681 immigrants are self-employed. Their businesses generated $22.3M in business income in 2014. CenterState CEO is an independent and forward-thinking economic development strategist, business leadership organization and chamber of commerce; dedicated to the success of its members and the prosperity of the region. The CenterState CEO Economic Inclusion team is dedicated to creating thriving communities through increased prosperity for all Central New York residents. Syracuse supports new American entrepreneurs. Centerstate CEO is fostering a comprehensive network of services and supports for entrepreneurs at every stage of growth. Innovative programs like With Love are one example of the power of partnerships and collaboration in economic revitalization. With Love is a restaurant incubator and restaurant management training center, cycling a different aspiring Up Start food entrepreneur every six months to highlight their cuisine and learn skills to run a business. CenterState CEO conducted a year-long study with the New American Economy on the role of new Americans on the Syracuse Metro’s economy. The report documents the critical impact immigrants and refugees have through population growth, workforce participation, business ownership, tax contributions, and spending power. In 2014, foreign-born residents contributed $1.7 billion to the metro area’s GDP, $140.4 million in federal taxes and $93.9 million in state and local taxes; 1,681 foreign-born entrepreneurs in Syracuse generated $22.3 million in business income. Work Train fosters shared prosperity in Central New York by creating career opportunities for unemployed and underemployed foreign- and U.S.-born individuals, while helping companies build stronger workforces. They serve as a workforce intermediary and strategist, convening partnerships that drive solutions to persistent workforce problems. Maud came to the U.S. with a nursing background and a great desire to learn and step into her destiny. She connected to the Work Train team and started attending Health Train classes. Today, Maud is a Certified Nursing Assistant at St. Camillus, and her next goal is to become a registered nurse. “Everywhere we work they are very happy because we get the job done. And not just get the job done. The residents will be happy, the administration will be happy you will be happy when you go home and reflect on what you did. You will feel it in your heart that you really did your best,” she shares. 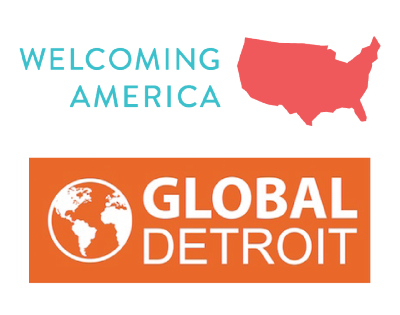 Syracuse is just one of the many cities in our growing WE Global Network that has recognized the value of immigrants and refugees, and launched efforts to welcome and support them. This movement continues to gain momentum, and we look forward to welcoming you to Syracuse to continue our work helping to build inclusive and equitable economies.